From Rocket Pops to corn dogs, foods with sticks are beloved by DeYoung, even though Dennis is technically DeOlde these days. 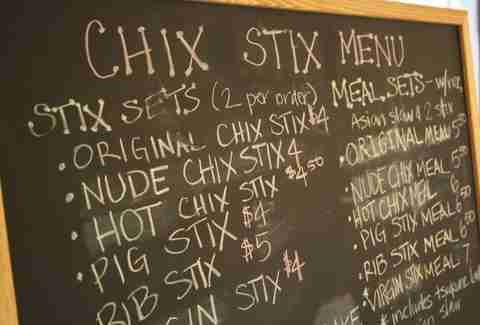 For traditional sticked food at adult hours, say domo arigato to Chix Stix. 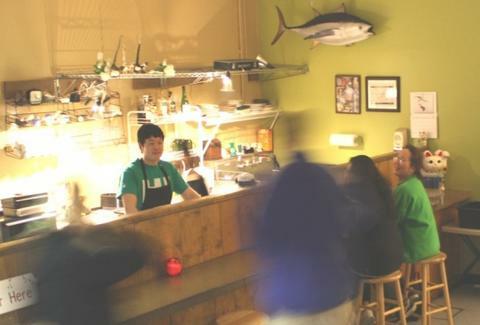 Claiming to be Portland's only yakitori, Chix is a recurring weekend pop-up slinging meaty/vegged skewers in confines that house weekday joint Sushiben-2-Go, jazzed up by Chix with sheer purple curtains, creative lighting, and candles that burn 'til 3a, "for those boozers out there who, like us, refuse to cook after a long night out", but what do you expect from Carlos after nine years on the court and a series of bum ankles? The core of Chix's menu are the namesake chicken skewers, arriving in pairs with thick-ish salty/sweet yakitori sauce (containing shoyu and sake) covering tender bird chunks marinated overnight before hitting a 580 degree oven that produces a subtle char during a quick roasting, which obviously means Gilbert Gottfried isn't telling his Aristocrats joke. Chix also offers a fiery-sauced version, as well as marinated rib-eye stabbed beside 'shrooms 'n onions ("Rib Stix"), and ponzu sauce-paired lightly salted pork 'n shiitakes called Pig Stix, also a remote part of the country you don't want to visit, as everyone's a complete boar. 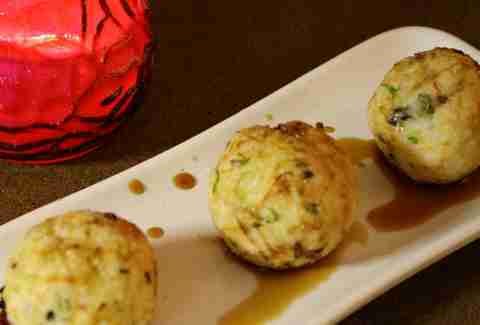 To aid liquor soaking, Chix'll pair anything with rice and "Asian coleslaw", and they also plan on introducing new goods on a regular basis, including jumbo shrimp and maybe fruit, which'll be the weirdest food with sticks you ever Shaw.